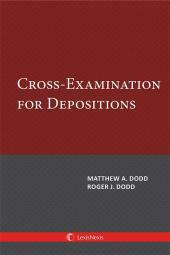 This convenient package gives you indispensable expertise to develop black-belt cross-examination skills, including the new Pozner & Dodd's Cross-Examination: Science & Techniques, Third Edition PLUS the Third Edition of Pozner & Dodd's The Masters of Cross-Examination DVD. 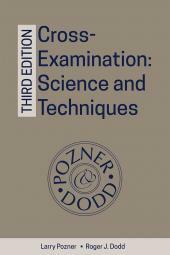 Cross-Examination: Science and Techniques, Third Edition is an extensive revision and reorganization of Larry Pozner and Roger J. Dodd's classic work, written to meet the needs of today's trial attorneys. 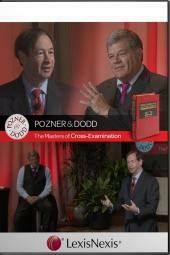 Pozner and Dodd's signature techniques and methodologies, which have brought them acclaim as the nation's leading experts on cross-examination, are illustrated with numerous new examples added specifically for the Third Edition.